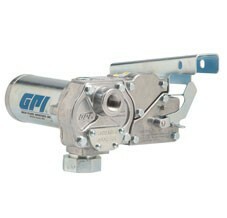 The GPI 133601-200 M-3130-AV-PO 115/230 volt AV aviation super heavy duty vane pump delivers up to 30 GPM (114 LPM). The GPI 110000-200 M-150S-AV-PO 12-volt aviation electric gear pump delivers up to 15 GPM (57 LPM). 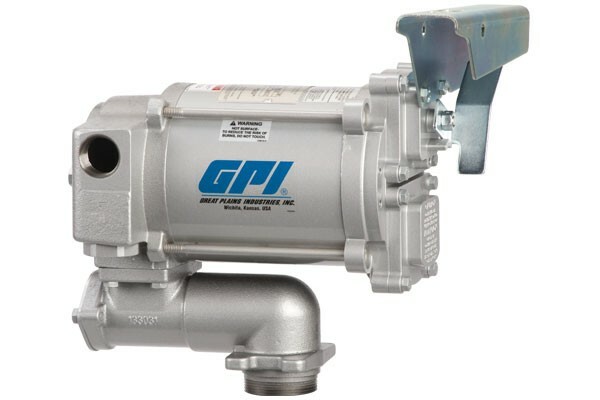 The GPI M-3120-AV-PO 115 volt AC aviation heavy duty vane pump is delivers up to 20 GPM (75 LPM). The GPI 110000-103 M-150S-PO 12-volt electric gear pump delivers up to 15 GPM (57 LPM).